A Navy SEAL charged with murder in the stabbing of an injured Iraqi war prisoner is no longer being held in the brig at Marine Corps Air Station Miramar, just 15 hours after President Donald Trump announced the move in a tweet. 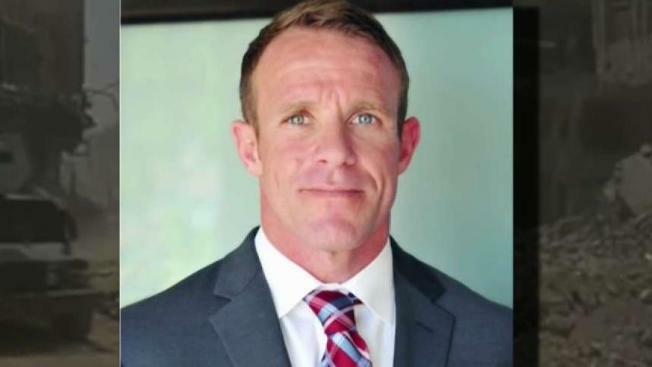 Special Operations Chief Edward Gallagher was moved from the brig to the barracks at Marine Corps Air Station Miramar, according to his attorney, Phil Stackhouse. A Navy spokesperson confirmed the move was to take place by the end of the day Saturday. In Trump’s tweet, the president said the move was in honor of Gallagher’s past service to the country. “Chief Gallagher is a decorated war-fighter who, like all service members, is entitled to the presumption of innocence while awaiting court-martial,” the letter said. NBC 7 reached out to Stackhouse, who said his team is “very thankful” to President Trump for Gallagher’s release from pretrial confinement. Stackhouse also thanked U.S. Representatives Duncan Hunter, Ralph Norman, and Dan Crenshaw in an email to NBC 7. “Now that the President has directed Chief Gallagher's release, we look forward to the Navy expeditiously releasing him to his command,” Stackhouse wrote. Once released, Stackhouse said Gallagher’s commander will determine if any moral restraints will be imposed upon Gallagher. This could include being restricted to one location, like San Diego County, or restricted from talking to particular individuals, like a witness. NBC 7 contributed to this report.